The Office suite can be used to directly open and save documents on Jottacloud. 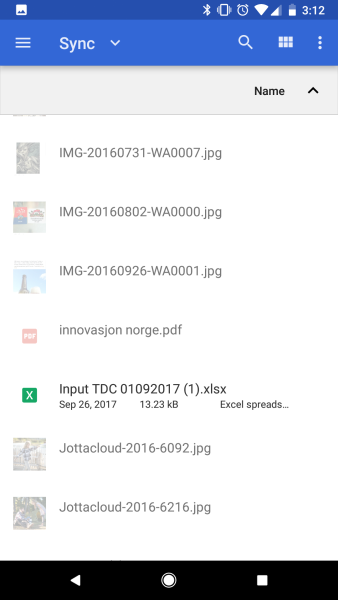 Version 4.1 of Jottacloud for Android integrates Android's DocumentsProvider interface, allowing 3rd-party applications using the Storage Access Framework (SAF) to use some of our advanced file-management features. Among the 3rd-party applications using the SAF are Microsoft Word and Excel, which are able to use providers like Jottacloud as storage locations. 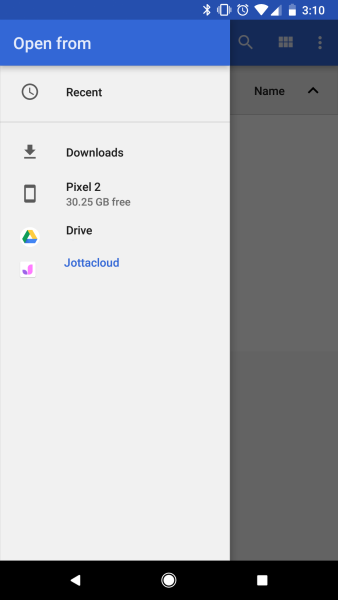 In earlier versions of Jottacloud for Android, it's been possible to open documents in read-only mode from the Jottacloud app. This functionality has not changed. 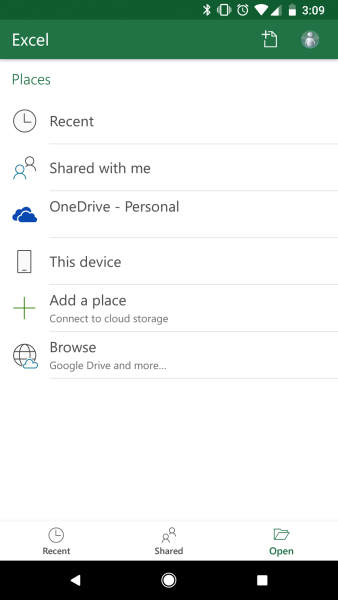 Because of the limitations of Android's Client and Provider interfaces, the only way to open a document for writing is to do it from within the Client application (Office, in this case). Assuming both conditions are met, the rest is simple. And voilà! Office will load the document, and from there you are free to edit the file without hassle. If you have autosave enabled in your Office app, the file will automatically save and update when you are finished editing. You also have the option to "Save As", which will prompt you to fill in a filename and select a save location, where you will be presented with the same location options that you were given when first opening the file for editing.